Being tight with time I decided to do a tag today. I love tags, and I have seen this once floating around for the past couple weeks. So here we go. The Grinch hands down, I can watch it everyday! Blue if that is considered a holiday color. My family has a tradition that we open out gifts mid-night Christmas Eve. What's your favorite winter fragrance? Recently I have been obsessed with Lancome's La Vie Est Belle. Its a really sweet, florally scent. My roommate said it smells like pink, lol. I love warm, sweet scents. Put I also love the smell of peppermint. Hot Coco or Egg Nog. The First Noel, I love the Lady Antebellum cover. I have attempted to but never succeeded. The holidays are the only time my enormous family all gets together, so thats super fun. I also think the holidays are important for realizing how fortunate one is. I hope you guys enjoyed this and I tag everyone to do this as well, I love reading them! 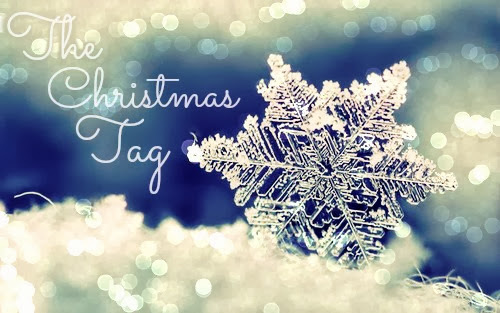 4 comments on "The Christmas Tag!" I loved your answers! I will be doing this soon!!! Thank you! cant wait to read it!